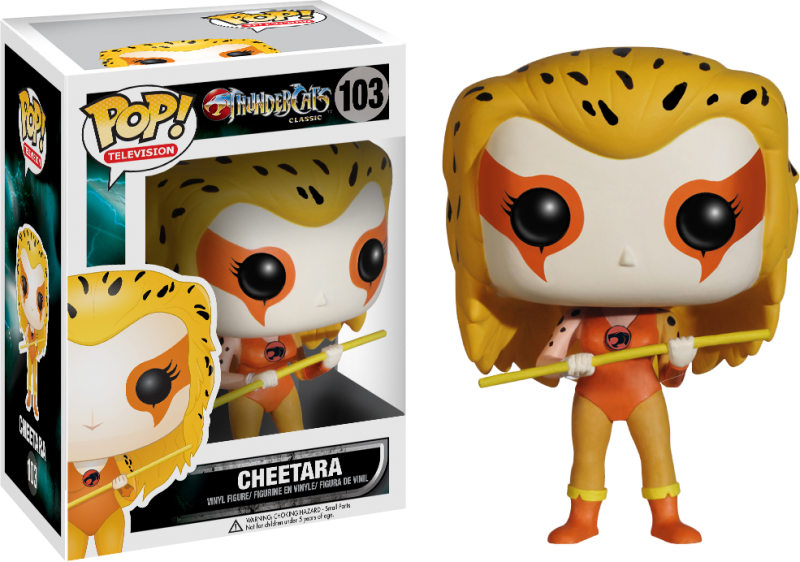 She's Fantastic: Funko POP ThunderCats CHEETARA! Funko POPs are probably the most popular collectible I can think of right now. I have friends who would never think of buying an action figure suddenly shelling out crazy dough for POPs of Walking Dead, Game of Thrones, The Beatles, Disney, Rankin & Bass Christmas, etc etc. I personally couldn't be happier, especially when it means that I keep getting awesome ladies like Cheetara to add to my collection. I was just debating whether or not I would try to go to ToyFair this year and was actually leaning toward "No" (it was more awkward and frustrating than exciting last year if I want to be truly honest), but then I remembered the Funko booth and how fun and exciting that part of the event was. Now I totally plan on applying for a press pass in the next couple days. I was looking at the ThunderCats lineup so far and I realize we're definitely due for more figures since the core team isn't even made yet. Here's hoping for a Pumyra! But for now let's check out Cheetara below!